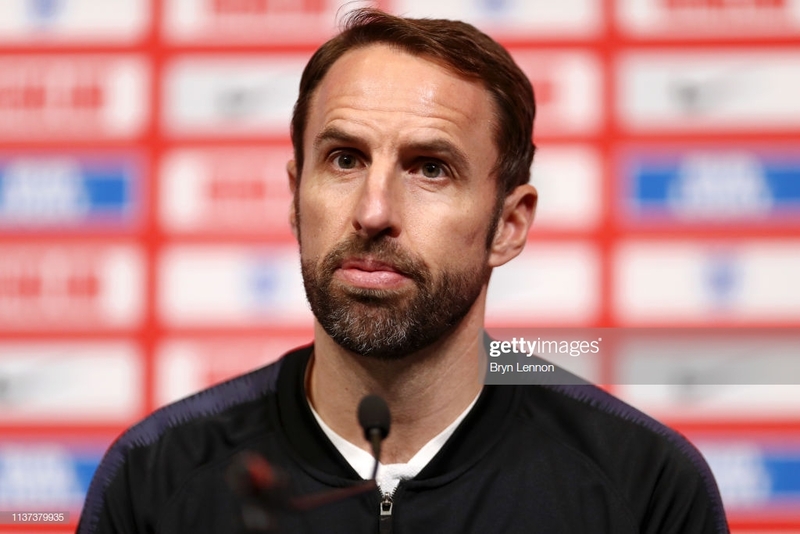 England manager, Gareth Southgate, has told his players not to be distracted by the upcoming Uefa Nations League finals and focus on the job at hand of qualifying for Euro 2020. It begins with a home match against Czech Republic tomorrow before travelling to Montenegro on Monday. However, Southgate will be without a handful of England’s key players. Liverpool full-back Trent Alexander-Arnold pulled out on Wednesday with a back problem whilst Fabian Delph, Ruben Loftus-Cheek, John Stones and Luke Shaw have also withdrawn from the current squad. Furthermore, it was announced today that Marcus Rashford has returned to Manchester United to continue rehabilitating from an ankle injury. As hinted at, the slight injury crisis certainly leaves England short-handed in some areas. Particularly in defence where it is anticipated that Southgate will opt to continue to deploy four at the back; partly because of the diminished pool that he has to choose from in central defence. There is, though, a chance for first-team newcomers Callum Hudson-Odoi, Declan Rice and James Ward-Prowse to get some minutes over the two games. Hudson-Odoi, in particular, has put his case forward in training this week for a place in the starting XI tomorrow evening. It does feel as if everything is working backwards for the Chelsea winger, who has been called up to the England squad before even registering a single league start for this club. Having also been heavily linked with a £40 million move to Bayern Munich, some feel it is now time for Hudson-Odoi to demonstrate his widely spoken of ability on the pitch. The selection of Hudson-Odoi to the England first team does promote the link from the successful under-17 side that won the World Cup in 2017 and the national side. A link that was very difficult to find not so long ago will become more and more visible as Southgate continues his work at the helm. Jadon Sancho will also be eager to get more minutes in what is his third call up to the first team having started once and come off the bench twice. “Throughout the age groups Sancho and Hudson-Odoi have been similar. Jadon has more big match experience but Callum has fitted in brilliantly. They are ready and can play no problem,” Southgate added. There is also the chance for Rice to get his first minutes, not only for the first team but also, in an England shirt altogether. The West Ham midfield switched allegiance from the Republic of Ireland last month and is in a duel with Eric Dier for a starting place. Southgate though will not use these next two fixtures as an experiment entirely; in some ways, he will have to adapt to the circumstances but he is keen to stress the importance of this qualification campaign and urged his players not to rest on their recent successes with the national team. “The Nations League this summer is something we can look forward to but this month we really need to park it and concentrate on these two games,” the England manager said. “Gaining victory in Spain and then to win in such dramatic circumstances against Croatia, having gone behind, was a real test for the team, not just in terms of capability but also the personality and character that they’re now showing,” Southgate remarked.